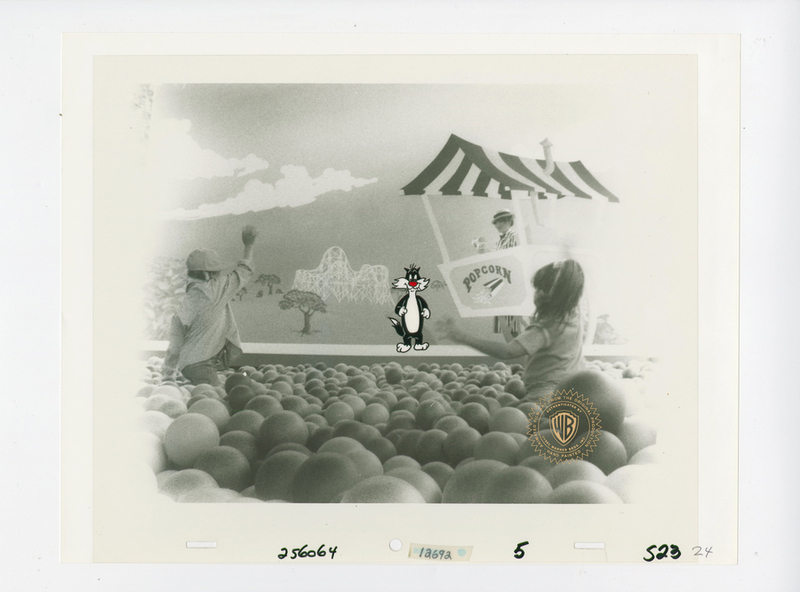 This is an original production cel from the Warner Bros. Studios production of a 1985 Six Flags Commercial called Bus Ride. 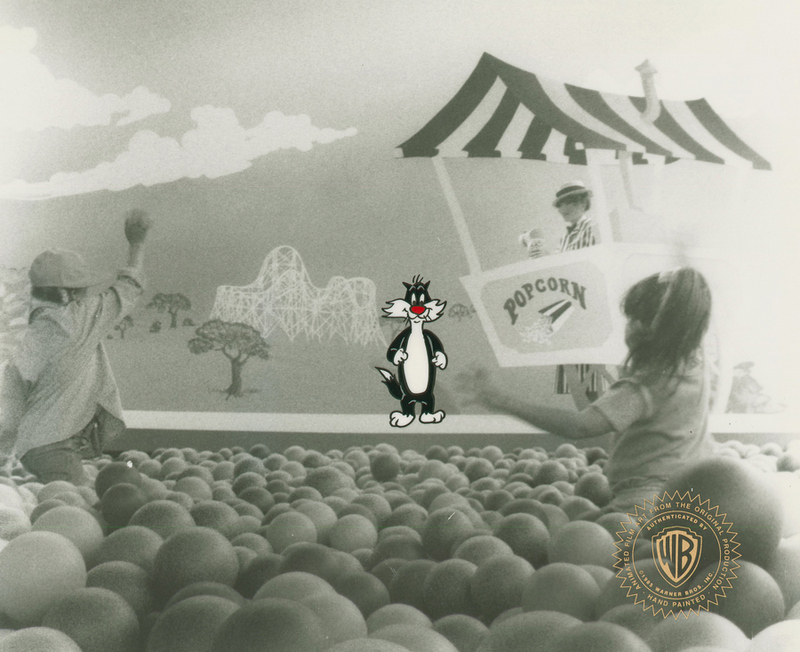 This hand-painted cel features a full figure image of Sylvester as he stands on stage, and was created at the studio and used during the production of the commercial. The overall measurements of the piece are 10.5" x 12.5" and the image itself measures 2" x 1". 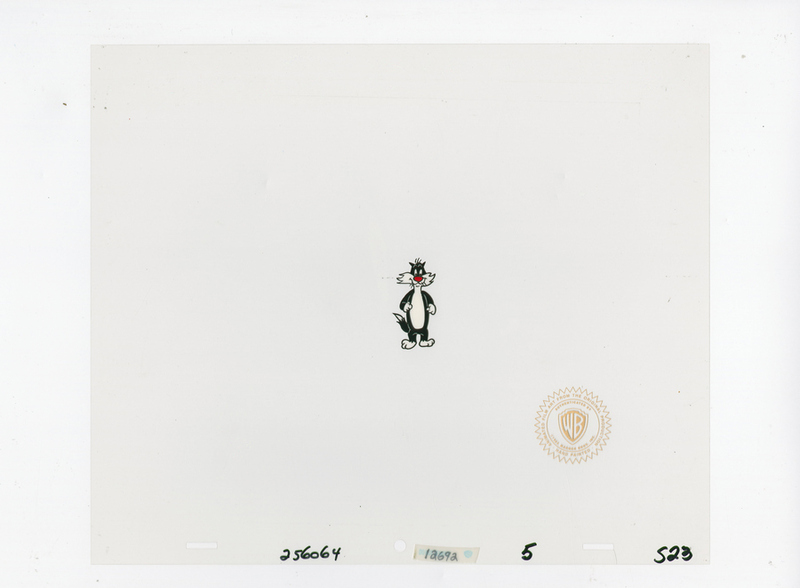 The cel is in very good condition and is paired with a black and white live action photographic reproduction background from the scene.